Illustrated history of the Tee-side Branch of ICME giving a flavour of some of the activities of the brance since its inception in 1926 until its amalgamation with the Newcaste upon Tyne Branch in 2004. 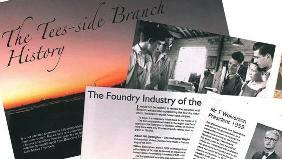 Includes information about significant foundries and other companies in the region, branch presidents and branch honours. Also available as CD £11.49.